Vetting clerks work for the police, large corporations, civilservice and are responsible for checks against potential employees. The role involves developing and managing any vetting procedures undertaking assessments and deciding on risks associated with any applicants and with regard to their potential role in the business or organisation. The role requires high level of integrity, good communication with others and access to sensitive data and excellent report writing. In highly sensitive roles the vetting officer may be involved in interviews with any candidates and need to build a solid picture of their background looking for any potential issues, weaknesses and vulnerabilities that may affect the work they are involved in. The role may involve identifying, investigating and assessing any potential risk with regard to the candidate. 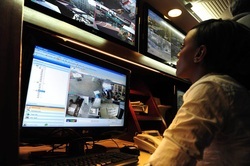 Developed vetting is the standard practice in UK security services. The defense business service provides vetting for the Defense for applicants joining the UK military, contractors, and government departments. Vetting salaries with the police service start around £25,000.